We specialize in European vehicle maintenance and repairs BMW, MERCEDES, AUDI, VOLVO, Volkswagen, Jaguar, Porsche, SAAB, Fiat. Domestic Chevy, Ford, Toyota, Nissan, Honda, Acura, Hyundai, Subaru, Jeep, Kia, Lexus, Mazda, Scion. 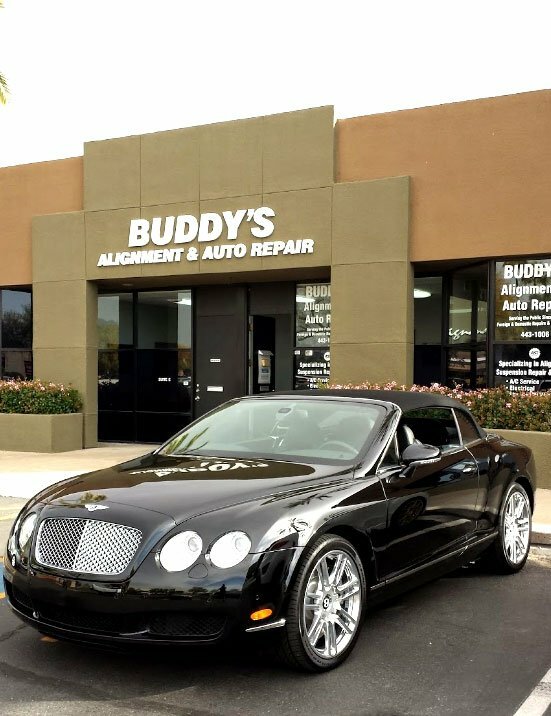 If you’re looking for a shop, for car repair services, that can deliver expert repairs, bring your vehicles to Buddy’s Auto Repair & Alignment, Inc. We repair foreign and domestic cars, light trucks and SUVs. From alignment and oil changes to transmission and tune-ups, trust our team to deliver superior comprehensive automotive services. Our technicians are ASE certified. Buddy’s Auto Repair and Alignment, Inc.
Shop Hours: Monday-Friday, 7:30 a.m. – 5:00 p.m.